SINGAPORE, 28th APRIL 2018 – The 11th IMT-GT Summit was held in Singapore on April 28th 2018 and this proved to be a highly successful meeting between the Leaders of Indonesia, Malaysia and Thailand; the three countries that make up the Indonesia, Malaysia, Thailand Growth Triangle (IMT-GT). 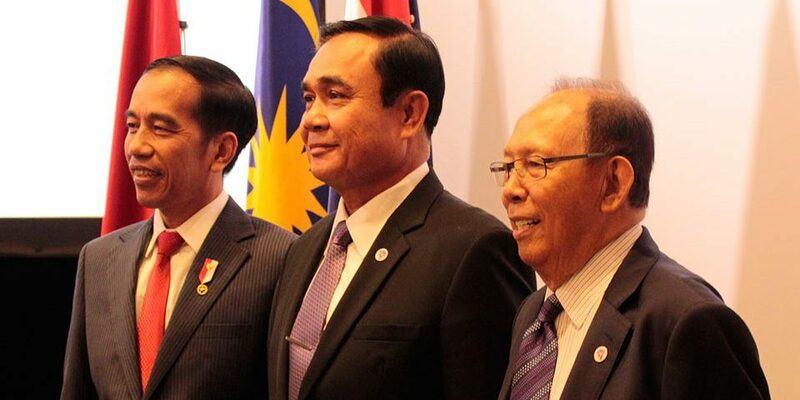 The summit was chaired by His Excellency General Prayuth Chan-O-Cha, Prime Minister of the Kingdom of Thailand and attended by His Excellency Joko Widodo, President of The Republic of Indonesia, Honourable Tun Musa Hitam, Special Envoy of the Prime Minister of Malaysia, His Excellency Dato Lim Jock Hoi, Secretary-General of ASEAN, and His Excellency Stephen Groff, Vice President of Asian Development Bank. This year marks the 25th anniversary of IMT-GT, this 11th IMT-GT Summit was used as a platform for the Leaders to deliberate on the implementation of IMT-GT Implementation Blueprint 2017-2021 to achieve IMT-GT Vision of integrated, innovative and sustainable sub-region in 2036. Historically, IMT-GT cooperation was established in 1993 with the aim to strengthen economic growth and to improve the welfare of people in IMT-GT. The cooperation is based on the complementary characteristics on economic and geographical proximity as well as shared similar cultures and historical links. The cooperation is basically private-led development with the establishment of IMT-GT Joint Business Council (JBC) to collaborate with local governments on economic development in this sub-region. Since then, the activities and scope have been expanded to include 6 key development sectors in 32 states and provinces. One of the key strategies is to strengthen cross-border transport and logistics linkages on 5 connectivity corridors to generate economic activities and reduce disparities between the states and provinces. The Leaders are committed to strengthening IMT-GT economic competitiveness through the implementation of 38 Physical Connectivity Projects (PCP). The PCP worth of USD 47 billion comprising construction and upgrading of roads, bridges, seaports, airports, CIQ facilities and ICT infrastructure. Upon completion, it is expected to bring greater cross-border trade, the proliferation of production networks across the sub-region and freer movement of people. 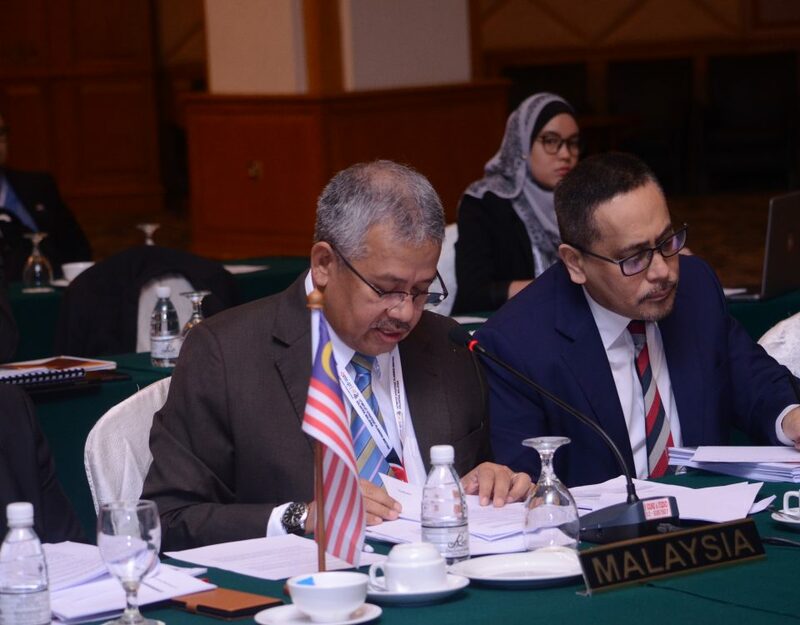 Under the IMT-GT Vision 2036, three strategic pillars, (i) agriculture and agro-based industry; (ii) tourism; and (iii) Halal products and services are selected as lead focus area meanwhile (i) transport and ICT connectivity; (ii) trade and investment facilitation; (iii) environment; and (iv) HRD, education and culture will be enablers that support the production of goods and services of lead focus areas. The lead focus areas play an important role in IMT-GT economic development especially in providing rural employment and ensuring food security. However, certain issues in the case of agriculture such as the increasing number of ageing farmers, unsustainable farming and low-value of products should be well-tackled by the member countries in order to compete in the global market. The Leaders congratulated the completion of IMT-GT Tourism Strategic Framework 2017-2036 and Action Plan 2017-2021. The implementation of the action plan is expected to create new cross-border circuits and routes that will help promote IMT-GT as a single destination. The sub-region targets international tourist to increase by 6.6% annually and creating 662,700 additional jobs in the tourism sector by 2021. IMT-GT has tremendous potential for halal products and services. 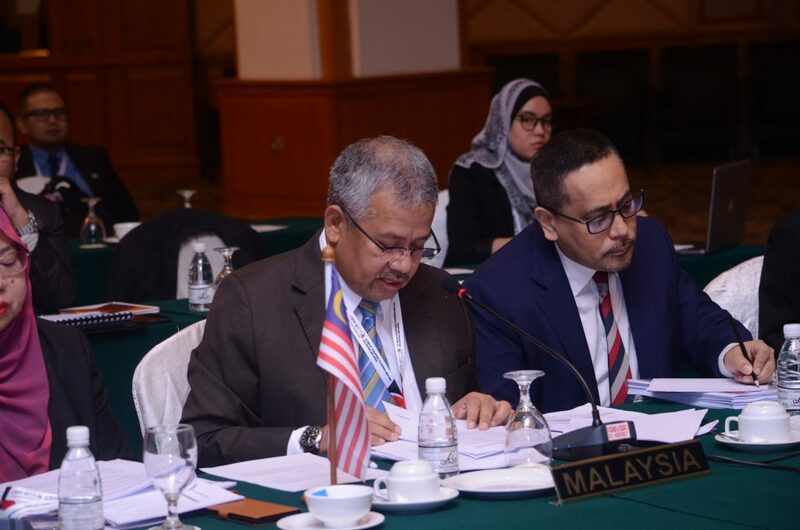 By 20121, this lead sector targets to increase halal technical experts and professionals to 30,000, halal export-oriented SMEs by 3,000 and certified halal manufacturers and service providers by 5% by each country. These could be realized by strengthening the capacity and capability of local industries; empowerment of human capital development and minimizing the trade barriers. To facilitate the movement of people as well as trade in the sub-region, the IMT-GT Memorandum of Understanding (MoU) on Air Linkages is expected to be completed in September this year. The MoU will complement the implementation of the IMT-GT Tourism Strategic Framework, making it a robust, relevant and up-to-date air transport cooperation framework for the sub-region. Environment remains the main focus of IMT-GT since 2013 and it has become the niche area for the sub-region. The IMT-GT Green Cities initiatives have proved to be a dynamic cooperation between IMT-GT states and provincial governments and the private sector especially in energy efficiency and green mobility. The active involvement of Cities in IMT-GT in the implementation of the Green City Action Plan (GCAP) is not only for the sake of implementing the green agenda but also on the ownership that they put it as a priority and they are proud of it. The involvement of local government in this area could be one of the good examples that perhaps could be replicated in other sub-regions in ASEAN in promoting green and sustainable development agenda. Looking ahead, IMT-GT with support from various development partners has demonstrated its resilience amid the global challenges that has affected the sub-region. This should not be regarded as an obstacle but as an opportunity to reprioritising and repositioning the key objectives that will impact the overall success of the sub-region. Nevertheless, cooperation from member countries, states, local government, private sectors including civil society should be further strengthen to achieve its vision to become an integrated, innovative and sustainable sub-region by 2036.